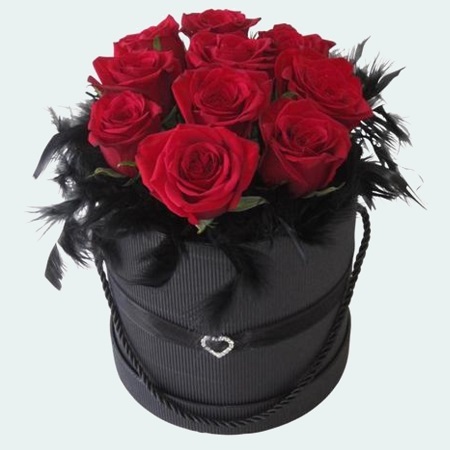 An elegant arrangement of 10 fresh Red Roses dressed up with glamorous black feathers, set in a black hat box with a satin cord and diamante heart detail. Easy care, just add water daily. Order by 6pm Wednesday 13th for Delivery in Auckland on Valentine's Day.